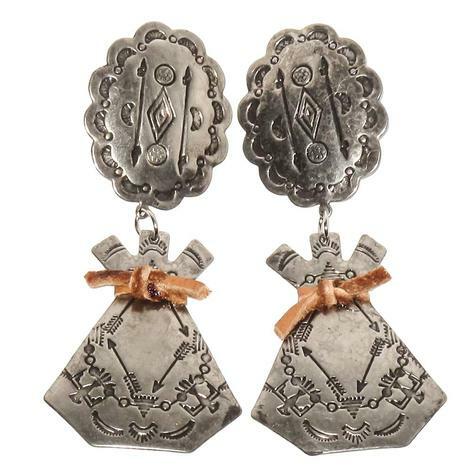 These beautiful silver earrings have a teepee design with Thunderbird and arrow engraving throughout. Get yours today while supplies last! 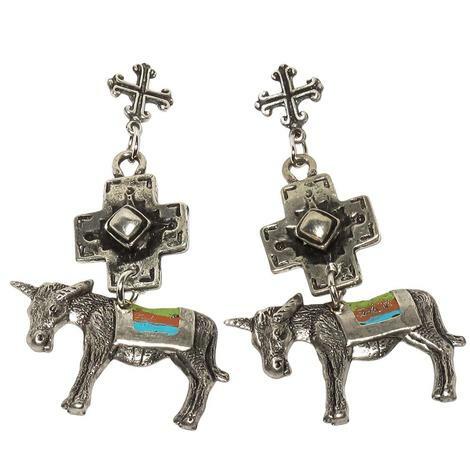 These unique earrings and made antique silver and feature 2 cross with serape saddle pad and burros. Add these to your collection while supplies last!